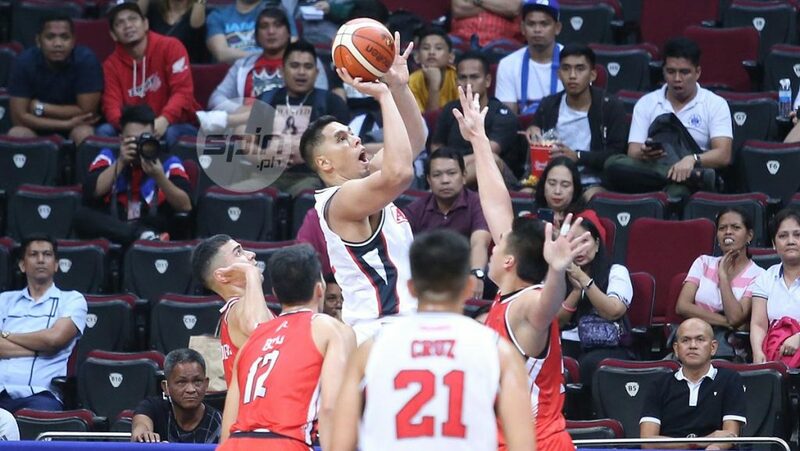 The Alaska Aces proved to be the steadier team as they escaped with a 103-101 win over Blackwater Elite in the 2019 Honda PBA Philippine Cup last night at the SM Mall of Asia Arena in Pasay City. After seeing a 13-point lead turn into a 94-97 deficit midway in the fourth quarter, the Aces gained the 99-97 lead on a layup by Chris Exciminiano and a three-pointer from Carl Bryan Cruz. The Elite snatched the lead for the last time at 100-99 on a triple by Allein Maliksi as the Aces responded with back-to-back hits from Chris Banchero and Joachim Thoss to surge ahead to 103-100. The Elite made its last push down 103-101 on split free throw by Shej Roi Sumang but failed to make the necessary defensive stops in the final 30 seconds, allowing the Aces to escape with the win.